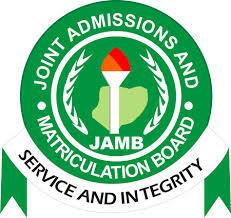 A GROUNDSWELL of reactions from a wide spectrum of stakeholders in the education sector , including teachers , has continued to greet the recent call for the scrapping of the Joint Admissions and Matriculation Board (JAMB) on the ground that it has lost its relevance. While the Academic Staff Union of Universities (ASUU) says that JAMB contravened aspects of the law setting it up by unilaterally changing candidates’ choices of school without their consent and should be hacked, the Academic Staff Union of Polytechnics (ASUP) finds calls for scrapping the body, on account of the aberrant step, an extremist suggestion. But for the National Association of Nigerian Students (NANS), JAMB should be scrapped. Chairman of ASUU, University of Ibadan Chapter, Prof. Segun Ajiboye, penultimate week launched the campaign, which is gathering steam, when he asked the outfit to stop promoting a policy, which he said favoured private universities and exploit the poor. The ASUU boss, who noted that JAMB’s relevance in the country ended when universities started conducting their own post-Unified Tertiary Matriculation Examination (Post-UTME) examinations, had stressed that the board cannot solely be relied on for admission by universities. Speaking on a television programme in Ibadan, the Oyo State capital, Ajiboye pointedly accused the outfit headed by Prof. Dibu Ojerinde of becoming the promoter-in-chief of private universities, by imposing an unpopular policy on the preferences and choices of Nigerian youths. Ajiboye said that the examination body lacks the power to change the rules of admission in the middle of the process after “deceiving” candidates to pick universities, polytechnics and colleges of education as options. “JAMB’s concept of needy institutions needs deconstruction here. Needy universities are basically private universities in Nigeria which charge exorbitant fees with less than required manpower. In the 2015 UTME applications, 15, 000 of the close to 1,436,837 candidates sought admission into 48 private universities. Of these, Covenant, Babcock and Afe Babalola universities had 3, 144; 1, 985 and 1, 247 applicants. ‘‘Others had below 600 applicants with some having less than 10 candidates. If not doing the bidding of private universities, JAMB ought to be open with its policy from the point of sale of the forms. JAMB must tell us how many public universities are under-subscribed.” The Ibadan Zonal coordinator of ASUU, who said JAMB was only a clearing house vested with the powers to do geographical balancing using federal character and noted that such functions have now ceased since all zones have federal universities with some states having two universities. He said private universities were already in crisis because they can no longer pay salaries of some of their workers due to non-preference by candidates, adding that course of study, proximity and affordability have always guided the choice of candidates in selecting tertiary institutions. Also in kicking against the JAMB’s policy of redistributing prospective students to varsities other than those of their choices, ASUU National President, Dr. Nasir Isah Fagge, told The Guardian that the JAMB has no right to stop the Senate of respective universities from admitting students they wish to. The ASUU president maintained that the recent policy clearly indicates that JAMB brazenly violated its own law, which also spells out its functions and sets its limitations. His words: “By law, JAMB doesn’t have the powers to stop the Senate of the respective universities in the country from admitting whom they want. JAMB is only empowered to organise matriculation examination, then submit the results to the universities. For Fagge’s counterpart at ASUP, Dr. Chibuzo Asomugha, the board’s decision to redistribute candidates, though deplorable, does not warrant its scrapping. “We do not think that an error from JAMB warrants calls for scrapping the idea behind the setting up of the board because beyond the institution is the idea, and the problem that it came to solve. So, since it is the universities that offer admission, JAMB should be scrapped. 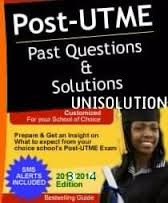 If JAMB must continue with its role of offering admissions to undergraduates, then post-UTME should be abolished. It is a waste of resources for candidates to pay for JAMB and post-UTME on yearly basis. We have met with JAMB to resolve this issue and they said they don’t have anything to do with post-UTME. We can’t pretend that we didn’t know the problem that JAMB came to solve. And is that problem there? Are there no possibilities of a relapse? Asomugha said: “JAMB has an agenda in the standardisation of the quality of education, especially at the tertiary level, and it provides a level playing platform for everybody to compete on the same strength. “Actually, if we had a society that runs on strong structures, you can say okay, we don’t need JAMB. But because we had the experiences that necessitated its formation, the idea behind JAMB is what is important. Let’s forget the institution, because Nigerians can frustrate institutions, but the idea behind it, I believe, is still relevant in our present circumstance. That JAMB came up with a policy decision, which at the end did not go down well because it (JAMB) did not involve some stakeholders, and suddenly we say we are scrapping it. I really think it is an extreme measure,” the ASUP boss submitted. He, however, called on the Federal Government to take a critical look at the role JAMB has played over the years, and make some adjustments where necessary. According to NANS President, Tijani Usman, the group was in favour of abolishing JAMB since the students were no longer comfortable with its operations. He regretted that prospective university students who were made to purchase JAMB forms and write the examinations, even after scoring above the government-approved cut-off marks, were posted to institutions they did not subscribe to. That notwithstanding, the candidates, he said: “Still have to write the post-UTME, where they have to pay huge sums of money, after paying to write the UTME. This is exploitation. With universities conducting the post-UTME, they now are the ones deciding who to admit or who not to. 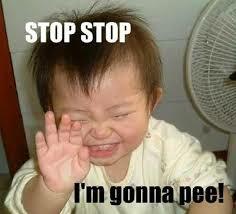 “So, since it is the universities that offer admission, JAMB should be scrapped. If JAMB must continue with its role of offering admission to undergraduates, then post-UTME should be abolished. It is a waste of resources for candidates to pay for JAMB and post-UTME on yearly basis. We have met with JAMB to resolve this issue and they said they don’t have anything to do with post-UTME. “We are not happy with the exploitation of candidates. Candidates who have diploma and are seeking direct entry admission into universities usually buy direct entry forms from JAMB at the rate of N5, 000. On these forms, there are numbers that serve as candidates’ registration numbers. But upon gaining admission into the universities, they are again charged the sum of N5, 000 for deregularisation. What is the money meant for? We strongly believe that JAMB has outlived its usefulness and should be scrapped,” Usman concluded. In the view of professor of English and Literary Studies, at the University of Nigeria, Nsukka (UNN), Sam Onuigbo, the country is not feeling the impact of JAMB in the area of strict conduct of examinations and placement of candidates in their choice institutions. Therefore, universities should be allowed to conduct their entrance examinations and admit their students as was done in the past, in the interest of Nigerian students and parents. 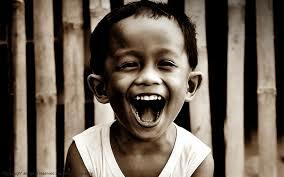 “In our days, candidates were assessed based on their individual performances. In the UNN for instance, he said: “When we carry out any form of examination in our institution, we do that without any favour or compromise. We are very strict and particularly careful about the quality of candidates we admit.” Senior lecturer, Department of Mass Communication, University of Lagos, Dr. Olubunmi Ajibade, is one of those in favour of the liquidation of JAMB because “many universities do not have confidence in JAMB any more. That, in fact, was the genesis of post-UTME screening by the universities. There were instances of candidates who scored very high marks in JAMB and then performed below average when they came into the university system. Some had to be withdrawn after one or two years. Because of this, universities started doubting the integrity of the UTME. Of course, they were cases of leaked questions through the special centres. On whether the embattled body ever was relevant or started off well, he responded in the affirmative, lamenting that, “along the line, the Nigerian factor crept in and corruption took over. And it is not surprising that we now have the mess in the JAMB-organised examination. However, we must remember that JAMB is not the sole culprit here. Parents/guardians as well as desperate candidates started to invade the system, and unfortunately they seem to have found ready allies in some JAMB officials who compromised. I believe that universities can maintain sanity and ensure strict adherence to examination integrity and admission guidelines. The post-UTME is a clear example. Furthermore, it is a known fact that corruption is everywhere in the Nigerian system, but with the body language of the present government, I think people will sit up. We need strong-willed leaders who can stand up to some established interests and confront corruption headlong. It is a shame that we cannot get things right after more than 50 years of independence, other countries that were at par with us at independence are waxing stronger, but we are deteriorating,” he concluded. How it all began The legal instrument establishing the JAMB was promulgated by the Act (No. 2 of 1978). And by August 1988, the Federal Executive Council amended Decree No. 2 of 1978. The amendments have, however, since been codified into Decree No. 33 of 1989, which took effect from December 7th, 1989. Among other things, the amended laws empowered the board to “conduct matriculation examination for entry into all universities, polytechnics and colleges of education (by whatever name called) in Nigeria. The amended laws also empowers the board to “collate and disseminate information on all matters relating to admissions into tertiary institutions or any other matter relevant to the discharge of functions of the board as well as carry out other activities as are necessary or expedient for the full discharge of all or any of the functions conferred on it under or pursuant to this Decree. According to history, in the first nine years of the board’s existence, test papers for its examinations were produced abroad before the government directed that the processing operations be localised. In 1987, the board printed its first set of examination materials in the country and it remains so till date, even as the answer scripts are also processed in the country.